Best thing about Target: SUMMER SANDALS. Targ KILLS the warm weather footwear game. Don't even know how many times Ive been wearing target sandals and they've been mistaken for designer. I love Target! My favorite thing is that they have everything, and it's all so lovely. Um, what's not to love about Target. Half our income goes there. I can get everything in one place for cheap. My favorite thing about Target? How can I pick one? I love everything! I think 90% of my clothes come from Target. 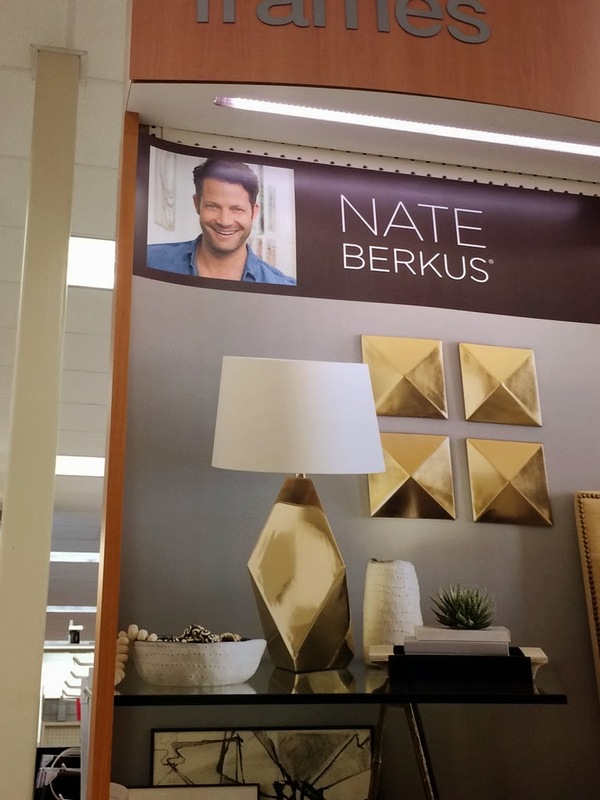 I love love love the home section, too, especially the Nate Berkus line! What's not to love about Target? I LOVE their home decor! Great giveway Keight! My favorite thing is the clearance! Yah buddy! Just discovered the barcode scanner yesterday! I love getting pretty things cheap! ohmygosh i heart target. I loved their bathing suits until of course I grew out of them. Now I just focus on the homegoods, work out clothes (ha!) and product aisle ( i have thousands of dollars in nail polish thanks to essie!). This would be the best thing to win everrrrrrrrrrrrrrrrr. 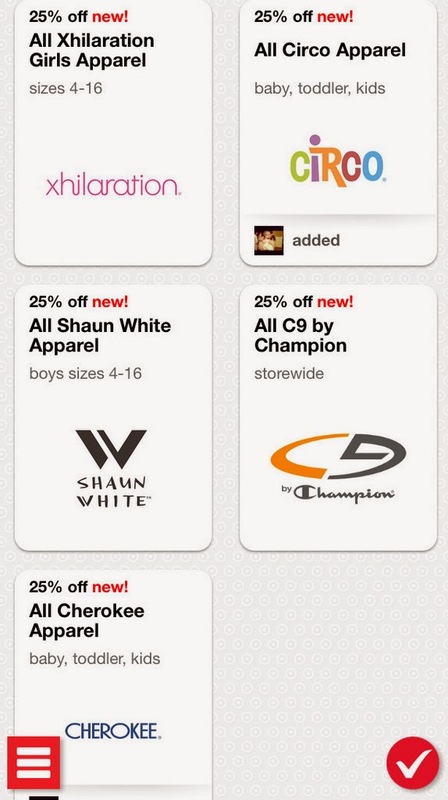 I love the cartwheel app! Makes getting deals so easy!!! My favorite thing about target is everything. Seriously. I can't pick. I live in a small town and we have quite limited shopping choices so target is the best! I LOVE LOVE their little hidden clearance treasure troves, and homegoods... pretty much I could just shop at this one store for everything I ever need for the rest of all time. Not sure if my first comment went through -- let's try again. I love that they carry great baby gear brands. The addition of their grocery section has been a lifesaver. Their twice yearly big toy sale completes me. 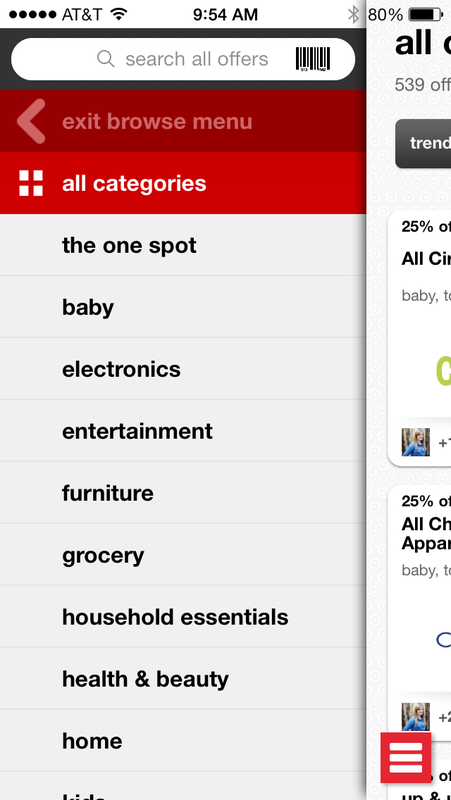 The Cartwheel app has been really easy to use and save money. I am a big fan. I love getting clothes on clearance at Target. They have such cute casual wear. My newest love of Target is the grocery section! Great deals and Target brand food is delicious! I love there home decor! Its reasonable and fits well with my style! Love that the home decor & clothing are stylish yet inexpensive! My favorite thing? Making memories with my kids...they get to eat popcorn while I shop! There home decor and seasonal stuff is snazzy too! My favorite thing about Target is they have EVERYTHING! Cute clothes, nice home stuff, and all the other essentials! I love that I have another option besides wal*mart. A WAAAAY better option. The accessories! Love their jewelry! Buying a Pizza Hut personal pan pizza and people watching through the window at Starbucks! I also really love the kid's clothes. They're adorbs! My favorite thing about Target.. the little red clearance stickers.. gets me EVERY time! I love the children's clothes at Target. I have to say I really love Target popcorn and was so glad to be able to get a simple coke and popcorn when I didn't have the time or money to go to a movie to do so, and had 5 children at home, so not much time to spend out alone. Also loved finding king size sheets with a lot of cotton in them, on sale, several years ago. Still loving those sheets every night! ps. Too bad Nate-you don't stand a chance with the already dynamic duo of J8K8! What is not to love...mostly I love my Red card and the discount I get!!! Favorite for me has to be the one-stop-shop -- I love that I can grab a few groceries at the same time as my toiletries and gifts for whatever kids' birthday parties we have that week. Love crossing things off my to-do list all in one place (especially key with kiddos in tow)! I love everything about Target but mostly, I LOVE that it's an awesome one stop shop for me. If I need cold medicine for my husband's current man cold, art supplies for my son's science project, the third kind of toothpaste for my daughter in a month because she hates them all yet somehow goes through a tube at lightening speed and finally, WINE. For ME. I can get it all at Target. And God bless America, I get to choose my treat at the end to enjoy in silence before I head home: Icee or Starbucks. Hallelujah and Amen. My favorite thing about target is their stationary selection. Cute and nice enough to get by! Love Target. I've been almost once a week since my son was born - just so we could get out of the house - and of course I always walk away with way more than I planned! 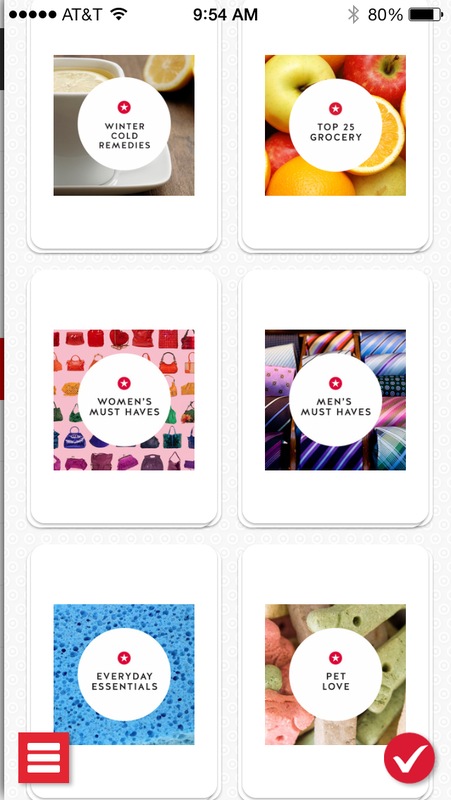 I love the cartwheel app and I am obsessed with unlocking as many spots as I can! 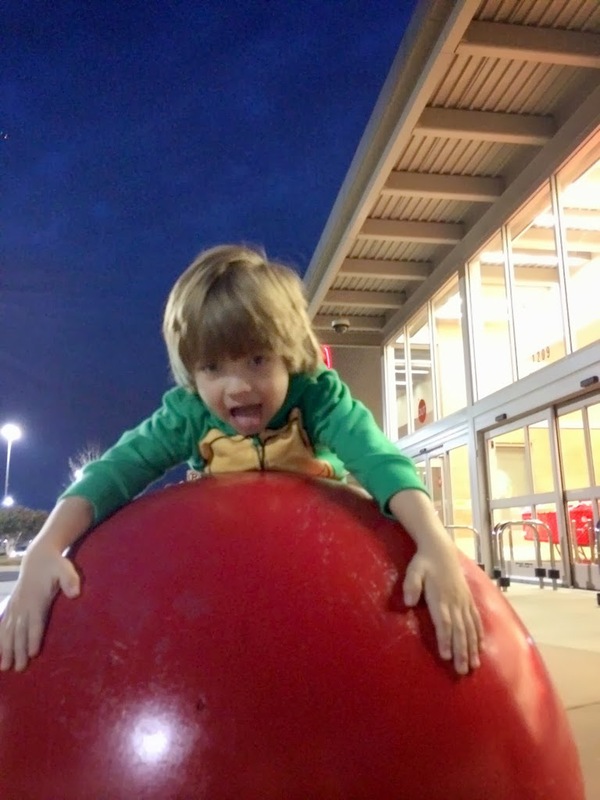 target…I just go there to get groceries…said no one ever! I love target!! I love their baby section! I love the clearance section of baby clothes. There are some deals! I like Target home goods too. I recently went there for a fireplace screen, found a great one, and also ended up getting some cute gold elephant place card holders because they were on clearance and I couldn't resist. My favorite thing about Target is the home department. I just need a house to decorate! My favorite thing about Target is all the clearance racks! I love Target because it's convenient with having almost everything I need to buy on a regular basis with descent prices, coupons, sales and everything looks so nice. Thanks for the opportunity! love target!! Their kid clothes are impossible to resist. I love getting lost in Target alone for hours! Every Target I have ever been inside of has been clean and well kept...I really like that. Almost always you will find the employees are nice and seem happy. I love targets home decor. Love my target bed comforter and pillows! Today was my first Target run since my 6-week-old was born. And my Alaska best friend was here to go with me. AND I was armed with gift cards. Basically, the most perfect day ever. I think my newborn loves it too, because she made it 2.5 hours without a single fuss. My favorite thing about Target is probably all the other days I can remember just like this one, when all I needed was a good leisurely Target-wandering session and suddenly life was okay again. No other store has that magical therapeutic effect. I love love LOVE Target. It is the best place to zone out and peruse aisles and spend $100 so easily. I love using the RedCard along with the Cartwheel App. Yay for savings! I love their clearance endcaps, I'm a sucker for those. My favorite thing about Target is their diapers! Target brand diapers are the only ones that don't leak! I want pretty much everything from the home department! my absolute favorite thing is their One Spot, it's so much better than going to the Dollar Tree and when cartwheel has the 20% off, even better! I got almost all of our homeschool classroom supplies there in the fall. Right now at this stage of life, it would probably have to be the children's clothes department. Can't leave without snagging some deals! I love Targets kids clothes! Stylish yet inexpensive. Call me crazy, but I go grocery shopping through their toddler kids food section... they have a ton of puffs, pouches, doodles, melts, etc. I love their clearance deals! I love the homegoods section and the toy aisles!! Whaaaaaat???? This is amazing. Target - I could basically live there. And, yes, Nate Berkus sheets. Hello. I love everything about target . It is my favorite store ever!!! Love how I can buy my groceries there. 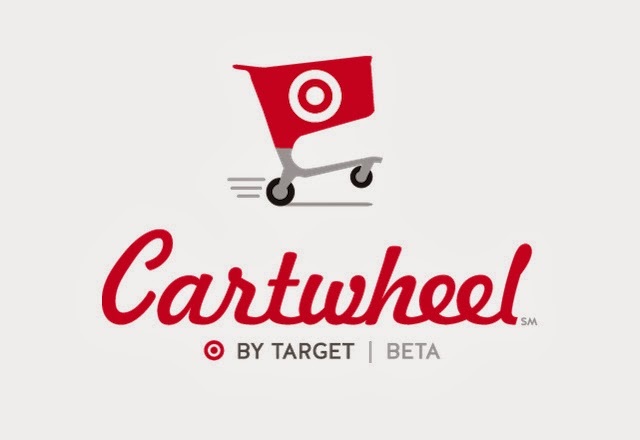 Am also really loving cartwheel! It's awesome app! I like that Target has quality items at affordable prices. Also, it is always bright and uncluttered. My favorite thing about Target is that they always have everything I need- and more!! I can never leave the store without spending at least $100! my favorite thing - it's like a one stop shop. I love shopping at Target. It is a good place to save money and get great deals. Love Target - It's got everything I need in one place! What can you not love about Target?! Love the Threshold line! My favorite thing about Target is the prices. I love scouring the clearance racks in the clothing department, especially the 70% off section. I have found the cutest clothing at the most amazing prices! I also love the home decor section. It always gives me a myriad of inspirational ideas for my home decorating. I love finding unexpected items and great deals there! I love their make up and clothes the best! Their clothes! I love how they are trendy and affordable - but don't look like something all the teenagers are wearing. Plus their clearance sections are amazing! I love their jambes! For everyone in the family! I love that they have so much variety. I go there way too often. What's not to love about target?? I am going to get the app! I love the variety at Target. I love their quality products! They have everything I need (groceries, etc) and then tons of cute stuff to look at! 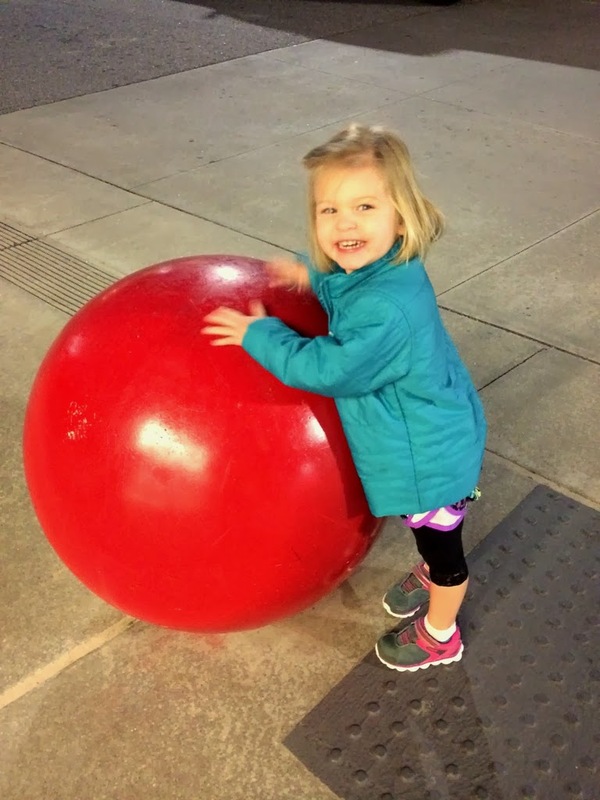 There are so many great things about target! They offer so many deals and they always take my coupons and cartwheel with a smile. My favorite thing about Target is that they have trendy items at affordable prices! Returns at Target are quick, easy and problem free - That's my fave thing. Right now my favorite thing about Target is the diapers. Because why are they so expensive everywhere else?! I like their kids clothes. I think they have clothes that kids would love to wear. thank you!! I love that Target has designer-style products for average-income people!!! My favorite thing about Target is how I can pretty much shop in peace. It's not near as chaotic as Walmart and it's a lot cleaner. My favorite thing is I can shop for my dinner, and pick up laundry soap, and a new outfit for my daughter, and whatever else I need, in a one stop shop. I downloaded this about a month ago and couldn't figure out how to use it - now I get it! My favorite thing about target is that it has so many quality options! I like the clothing styles and the cheap sandals. I love the assortment of Products offered at target, I love their excellent customer service and great prices. I like Target for it's serenity; one time I was at the checkout and I heard a couple talking, and the lady said being in Target was like being in Pleasantville hahaha. My favorite things about Target - quality products, great prices and friendly staff. I like the variety of colorful items they always have. I love how easy Cartwheel is to use! I love the great prices and sales that they have. What is not to love? I love that I can find an assortment of things in one spot...all the latest styles! I love the dollar bins! I like the variety of items they sell and that they are always neat and clean. i love their coupon system. i can save so much money by stacking coupons with target coupons, the cartwheel, and the red card! I've always been partial to department stores because of the convenience. Target is priced so well and their products are so varied. I love browsing Target's accessories! They have Sbux, popcorn and beautiful home goods...all in one spot!! They have some really cute clothes! I love their stylish decor items! I like that Target is almost always well lit, clean and neat. Unlike many other stores. I like the selection and styles (clothing, housewares, etc...) available at Target. LOVE Target! Could decorate my whole house/family with their products! I love to search the clearance racks, especially the kids clothes. I really like how their stores are organized and they have some great affordable items to decorate your home. Target carries the best rated sunscreen at a low price...was on the news. https://twitter.com/randycur0962/status/438398795173216256 tweeted about Target's sunscreen. I like their prices and that they aren't too far away from where I live. I love all their decor options for the home! My favorite thing about Target is that they are a one stop shop. I love their dishes, sunglasses, groceries, books, and everything else! My favorite thing about target is the selection. My favorite thing about target is that they have the cutest clothes for me and my kids!! I love that you use cartwheel coupons and manufacturer coupons together at Target. I like that Target has convenient locations, the toiletries are inexpensive, and their store brand is decent. My favorite thing about Target is they always have the best items! My favorite thing about Target is the great deals and variety of products. Love your pictures! 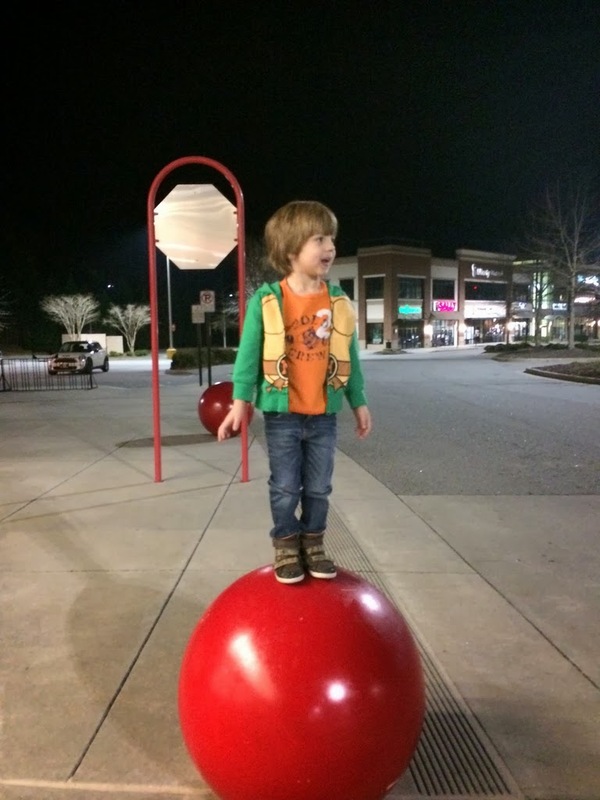 My son loves those big red balls outside the store too. I love that I can get a Starbucks drink and sip it while I shop. Favorite thing about Target is their unique selection of products! I actually never shopped at Target. My favorite thing about Target is their great selection of products, I can do one stop shopping there. My favorite thing about Target is the cute plus size clothes! And I need a new wardrobe since I've lost some weight! Target has some of the best clothes and at a reasonable price! i love the design on the target brands , so cute!! My favorite thing about Target is there prices! They have such great stuff ( especially their home furnishings) at great prices. I can always find what I need at Target! My favorite thing about Target is the Grocery section. I can grab a jug of milk or something real fast while I am shopping at Target for something else. My favorite thing about Target is the amazing deals they offer and the clearance. I go to Target at least 3 times a week. I love getting food at Target. Their prices are higher on some things but they have get deals when buying an item and getting another free! TARGET = GREAT DEALS, GREAT PRICES & AWESOME VARIETY OF PRICES. My favorite thing about Target is that they've added a grocery store so I don't have to go anywhere else to shop!